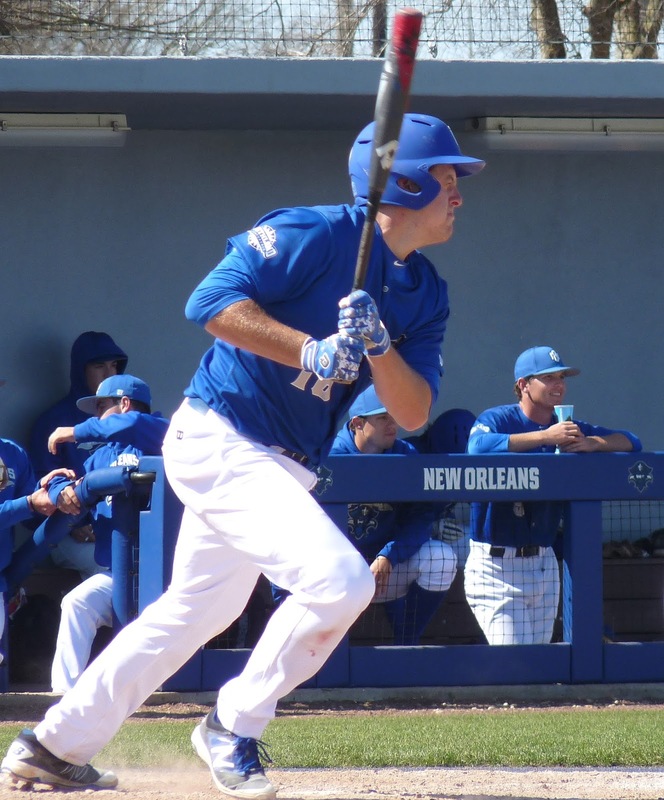 After an 8-4 midweek setback to Southern Mississippi, New Orleans (16-13, 6-6) took two out of three in a Southland Conference series against Texas A&M-Corpus Christi over the weekend at Maestri Field. On Friday, catcher John Cable smashed a grand slam to give UNO an early lead, and it held up behind 6 2/3 innings of solid pitching from Shawn Semple in a 10-3 win. In the first game of a Saturday doubleheader due to impending Sunday weather, the Privateers got a three-run Hezbomb en route to an 8-2 lead, gave up seven unanswered runs, tied the game in the bottom of the ninth, and won it in the tenth on a bases-loaded walk issued to Chase Crump, 10-9. In game two, TAMU-CC touched up UNO starter Rafael Martinez and surged to a five-run first inning. It turned out to be all they needed, as the Islanders cruised to an 8-4 victory in the series finale. New Orleans finally has its first meeting with Tulane on Tuesday night at Maestri Field.